Mamata Banerjee will be visiting north Bengal for the first time in her second consecutive term as chief minister of the state. Trinamool Congress cadres along with representatives of various tribes and communities will welcome Banerjee at Bagdogra airport on Monday afternoon. This will be Banerjee's 101's visit to north Bengal as chief minister, creating a record of sorts as no other chief minister before her visited the region as frequently as she has been doing. Her three-day itinerary will begin with a visit to Alipurduar to participate in the second anniversary celebrations of the place being promoted into a district. Later in the evening, she is expected to hold an administrative meeting with district officials. On Tuesday, the chief minister will hold another administrative meeting at Subasini in Alipurduar following which she is likely to announce a host of development projects for the seven districts comprising north Bengal. Upon returning to Siliguri on Wednesday, Banerjee will hold a meeting at Uttarkanya, the mini-secretariat, and take stock of the ongoing development projects in the region. She will head back to Kolkata on Thursday afternoon. 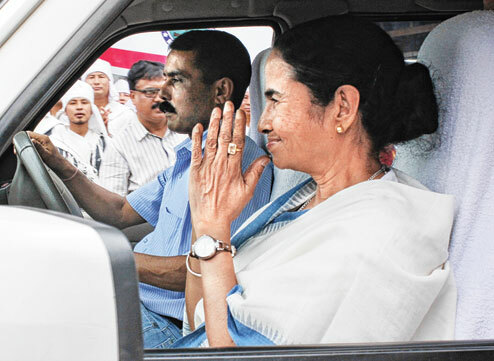 Siliguri Jalpaiguri Development Department chairman Saurav Chakraborty said the chief minister is expected to focus on the Teesta City Project that is underway at Kawakhali near the North Bengal Medical College and Hospital. The project was initially announced during the Left Front regime, but work on it started after the TMC came to power in the state.